With the likes of Amazon, Airbnb, Netflix, Spotify, Uber and Tesla disrupting the marketplace, traditional brands and agencies need to reinvent their marketing, consumer insight, and market research strategies. This year, we have exciting client case studies, best practices and new methods that demonstrate the transformative power of digital disruption. Clients attend MRMW to get up to date with the latest market research technologies and methodologies. Our dedicated "needs matching" program connects clients with the most relevant suppliers. Agencies come to MRMW to present their latest research projects and innovative methodologie. Our conferences are also a great opportunity to catch up with clients and find new technology partners. MRMW provides the perfect environment for suppliers to showcase their solutions, get feedback on their latest technology developments and network with agencies as well as clients. 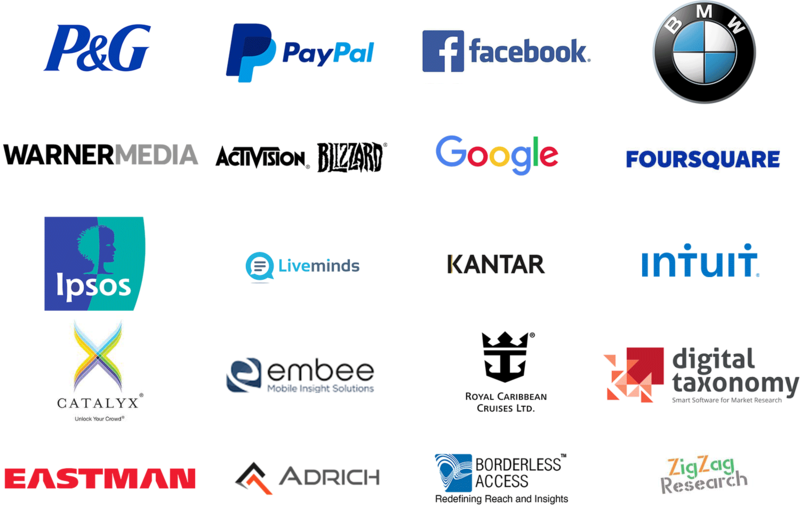 Meet international brands, research agencies and technopreneurs all in one place!